RHT performance of "Ther Bacchae"
"Roy Hart theatre has developed from Roy Hart's 23 years exploration of the voice, and the inclusive Abraxian philosophy to which this led him. Whilst a student at Witwatersrand University South Africa (reading psychology and English) his first stage performance as Peer Gynt in a student production there was considered out standing. In 1946 he came to England and won a scholarship to RADA. His training at RADA coincided with his studies under the late Alfred Wolfsohn, whose vision of the eight octave voice and a liberated personality has been realised by Hart's work. Wolfsohn's philosophy was born on the battlefields of World War one, as he heard the anguished cries of a wounded soldier left alone to die. He realise that between the totally embodied cry of the new-born infant and the multi-octave scream of the adult facing death, there is a life time of stilted, half-voiced half-living. On leaving RADA, Roy Hart declined offers from the West End theatre in order to study the relationship between voice and personality and to consolidate his ideas on the function of theatre. In 1955 he demonstrated publicly Wolfsohn's idea of the extended voice and at that time a Wayland Young of The Observer asked "How long will the composer take to master this tremendous new, raw material!?" Roy Hart has lectured at international congresses of psychotherapy and psychodrama on the findings of his research. Seeing man as a universe of opposites demanding expression, he set about training the voice, through unremitting exercise of body, intellect and imagination, to become a more efficient muscle of the human soul. To express the turmoil opposites within the the individual safely and truthfully that had to be a disciplined, stable structure and is structure Roy Hart found to be growing spontaneously as more people joined him in his dedication to a life long pursuit of a multi octave expression. Of the 30 members of his theatre, 15 have worked with him for 12 years or more. They earn their living in various ways, not only in the theatre, and where their meeting-place was once a simple studio, it has now a more inclusive complex structure - the Abraxas Club, providing squash, gymnasium, saunas, massage, weekend cabaret shows and discotheques." The above passage is quoted in "A Celebration of Life". "Roy Hart Theatre seeks to narrow the gap between public and private presentation of the self, as many failures in human communication are caused by fear of presenting the self consistently in differing situations. As individuals become more aware and group empathy consequently more secure, Roy Hart is able to include more of the off-stage experience of his performers in the staged production, trusting that the cultivated sensitivity of the performers will be able to transform these intrusions into authentic drama. He challenges the perception of actor and audience to look for basic human values presented in unexpected forms. Roy Hart aims not to entertain, but to encourage each performer (and through the performer those in the audience who are watching him) to dare to expose the growing, groping self as it reaches out to wider experiences, rather than to show a section of the self that has been refined and limited as in conventional theatre. Roy Hart encourages his performers to base their work on an inner self-respect, purged of egotism, and to respect each other's discoveries so that they can adapt to constant change in a production, and can absorb totally inexperienced newcomers into the cast, and still give an intuitive yet disciplined performance. To educate ourselves for the rapidity of change in the society around us, security must come from within. The theatre Roy Hart represents is neither a straight play with a story, nor a series of "happenings", but a meaningful collage suited to the present moment of any one performance, and rooted in years of group work before that performance. It speaks through a multi-dimensional, associative dream logic." The above passage is quoted in the book "A Celebration of Life". After Alfred Wolfsohn's death in 1962, his leading student, Roy Hart took over the reins of the research work on the voice. Wolfsohn had concentrated on the singing voice whereas Roy, who had trained as an actor, took the work in a more theatrical direction. A number of his students met regularly and they became known as 'The Group'. Then as they came more into the public eye, they took the name 'The Roy Hart Speakers'. 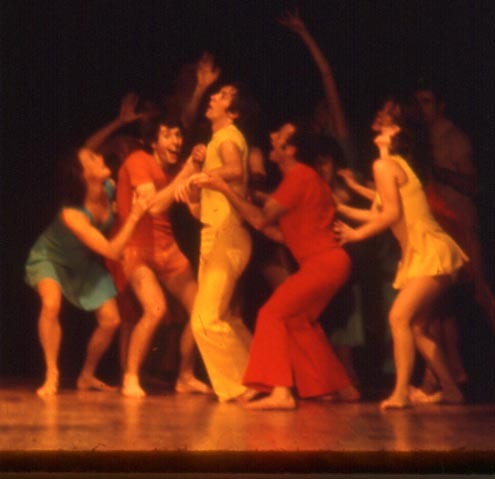 In 1969, the Roy Hart Theatre made its debut with a performance of "The Bacchae" by Euripides at the World Festival of Nancy. From this date, the Theatre undertook a number of foreign tours, notably Jean-Louis Barrault's invitation to the "Theatre des Nations". Due to the amount of performances given in France and Spain, the company decided to move to southern France. By March 1975, 46 members of the Theatre lived in the Chateau de Malerargues. Despite the tragic loss of Roy Hart, Dorothy and Vivienne in May 1975 and many economic and social upheavals, the Chateau remains the World Centre of the Theatre's vocal research. Today there are many teaching centres all over the world; Paris, Lyon, New York, Zurich, to name but a few.